It is a pretty futile affair, reviewing an album like this, to be honest. 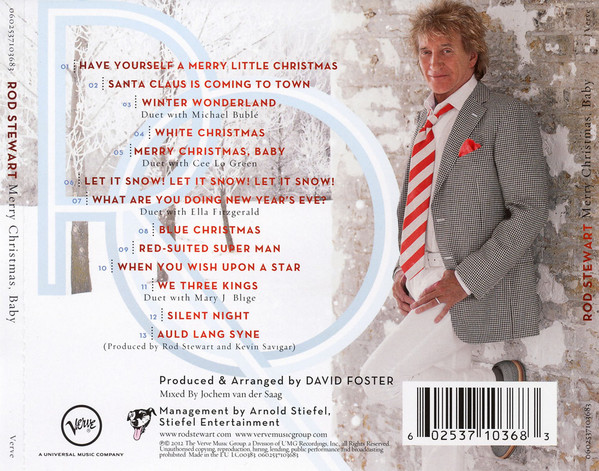 If you like the material Stewart did on "The Great American Songbook", immaculately played with a crystal clear sound, with a few traditional Christmas carols thrown in, and all sung by Stewart in that croaky, reassuring, log fireside, Christmas jumper style then you will absolutely love this. There is lots of 1950s American "Have Yourself A Merry Little Christmas" fare, which, of course, has long been very popular. As an example of its genre it doesn't get much better. There are many, many people who absolutely love this sort of thing. In that respect the album will be perfect. For what is, it can't really be criticised. There are some duets too, Michael Bublé and Mary J. Blige among others. 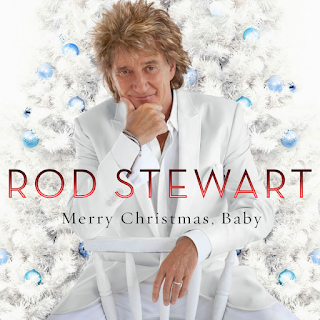 If, like me, you are an aficionado of Rod Stewart's early seventies work you will just gently shake your head and tut to yourself to think that the person responsible for "Gasoline Alley" and "Every Picture Tells A Story", the hell-raiser from The Faces, should be offering up stuff like this. I actually have the album. 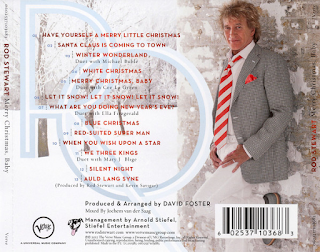 I played it once, and a few tracks from it are in my Christmas random playlist, but, for me, as cheesy Christmas albums go, I find it a bit too sanitised, strangely emotionless. Somehow it gives off the feeling of having been recorded in July. also, there is just too much cheese for me. The cover is positively awful too. I, of course, am thinking far too deeply about it. It is possible to just enjoy it for what it is. Many will do just that.